I received the items below for the purpose of this review. No monetary compensation was received, all opinions are my own. Affiliate links in post. Ti's the season for toys...and if you a parent, I am sure you are preparing for a house full of them. Every Christmas we see the same thing...cheap plastic toys that get broken within a week (if not on Christmas day)! I do have to say it is difficult to find quality toys. They are often more expensive, and just less abundant. However, PlanToys® is one company that has some amazing toys that are a great value. 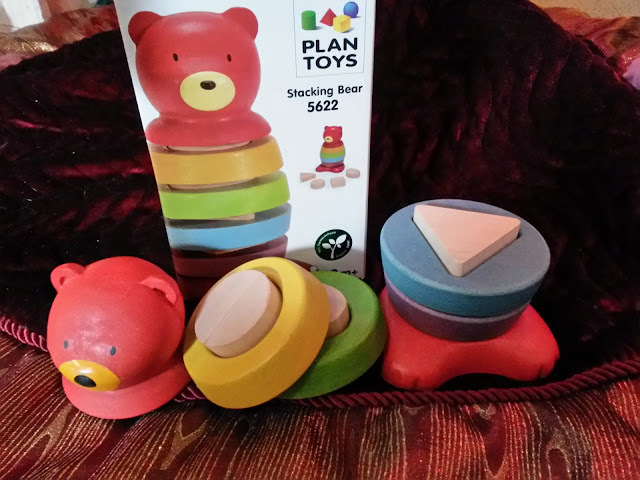 You may have heard of PlanToys®, but PlanToys® is not only well-known for being the first company in the world to manufacture wooden toys from preservative-free rubberwood, it is one of the leading company to create new material and process to minimize waste up to zero. Yes, you read that right, not only can you find quality and value in PlanToys®, you can also feel good about your purchase knowing that the toys are made with minimal waste and with expired rubberwood. 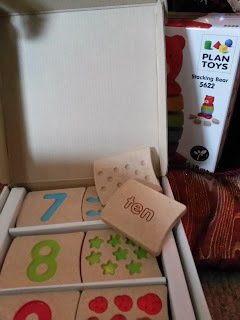 We have been really impressed with the PlanToys that we have received for review. I have seen PlanToys in my children's classrooms, and have always assumed that they were very expensive (I especially love the dollhouse that is in the kids' preschool room). I was pleasantly surprised to see that many of the toys are under $20. The PlanToys also are toys that definitely feel like they will last throughout many years of play. The wood is dense and feels like it will hold up through several of our children's younger years. The toys themselves promote exploration and imagination, and both of the toys we received for review have great learning aspects to them. If you're looking for a great quality gift, please check out PlanToys. I am sure you will be as impressed with them as I have been.